BEND, OR -- The partial government shutdown continues. The U.S. House of Representatives and Senate adjourned Thursday without reaching a resolution, so the shutdown is expected to go on at least until January third when Congress returns. That means workers will not receive a paycheck on the December 31st payday. One local financial institution is trying to help local federal employees on furlough. Kyle Frick, with Mid Oregon Credit Union, tells KBND News, "We have several hundred people who are members of the credit union who are employees of the Deschutes National Forest, Ochoco National Forest, the Fremont-Winema National Forest, BLM and US Fish and Wildlife Service." And, he says, many may be unable to make mortgage, rent or other payments when they don't get paid on time. Mid Oregon Credit Union came up with several options to help bridge that funding gap, "We have some short-term loans available. We also can do 'skip a pays' without any fees, so it just depends on what people’s needs are to hold them over," says Frick, "We know they will probably get all of their money after they get back to payroll; they’re just not getting paid [yet]." Some options are only available to current members, but others are open to federal workers who don't currently belong to the credit union. 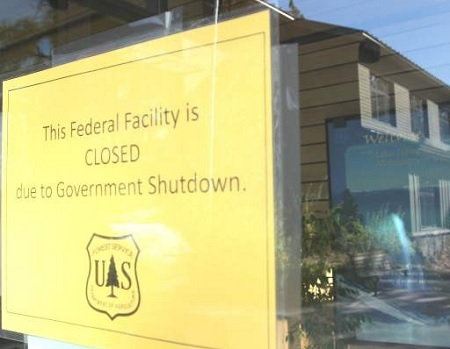 It’s not the first time Mid Oregon has tried to help furloughed government workers, "We had to go back a little while to find one where we actually knew there was going to be an impact. Normally, they get resolved pretty quickly; this one isn’t being resolved as quickly. So, if they have a paycheck they were going to be getting December 31st, and their mortgage payment or their car payment or something [is due], I mean, that could cause some ripples." For more information, visit a Mid Oregon branch in Bend, Redmond, Madras, Prineville, La Pine or Sisters, or contact their call center at 541-382-1795.